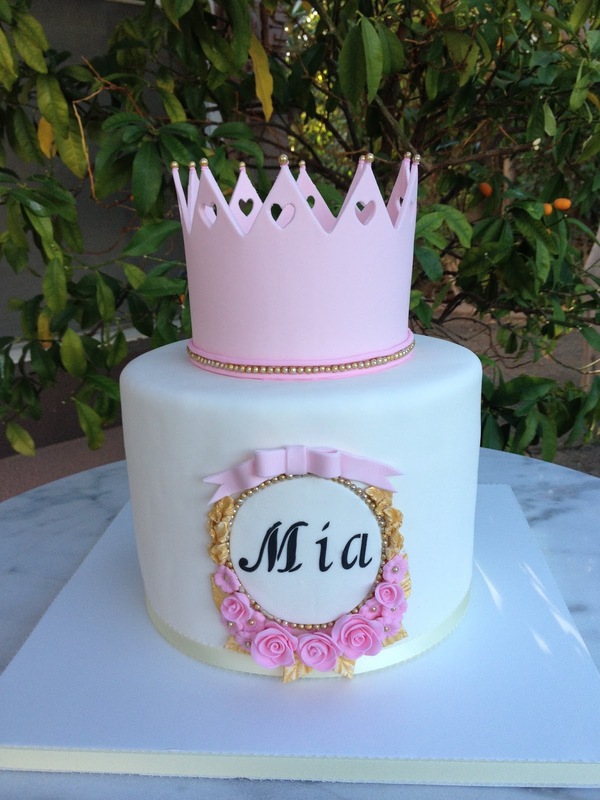 This adorable cake was made for a baby shower. The flavor of the cake was red velvet with cream cheese frosting. They also ordered peanut butter cake pops and vanilla and apricot cupcakes. Silly me I forgot to take pictures of the cake pops and cupcakes. I just received this note from the person that put the shower on. I would like to thank you for baking such delicious pastries for us for the baby shower on Saturday. I can't tell you how many people were impressed with the cake. They just loved it! She loved it so much she was not too happy about cutting it. She did save the crown though. Thank you so much Pam! It was a beauty.